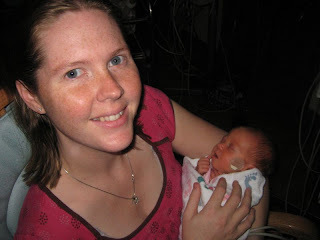 The Musings of a NICU Mommy: Bekah holds Hannah for the first time. We are doing well. 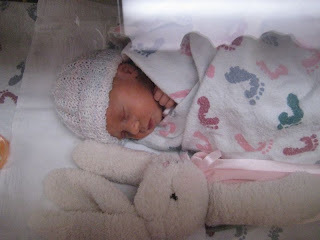 I am pretty exhausted at the moment from being on bed rest for 10 weeks, having a baby and having to run back and forth to the hospital several times a day. We are just rejoicing that Hannah is now off all her oxygen and has nothing on her face. She is past the hard part now. 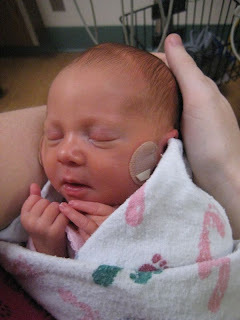 Currently she is acting very much like a preemie and is having a hard time eating enough. She just gets too tired. 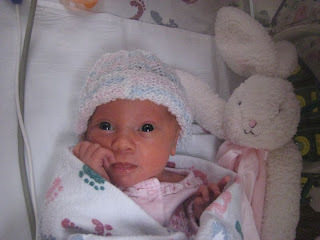 Hannah has dropped from 5 lbs 9 oz to 5 lbs even. She just continues to drop her weight. 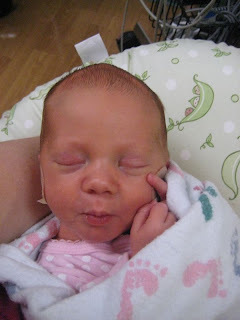 So today they increased her calories from 20 cal/oz to 22 cal/oz to get some more nutrients in her. Hopefully that will help. I was very excited that she nursed well today and took 18 mls. She needs to take about 40 mls per feeding to grow. Normally she is eating 20 to 30 mls. 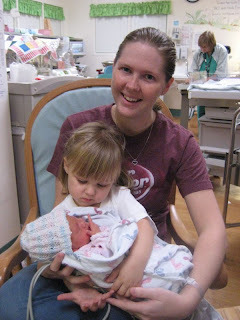 We are praying that she will wake up and get enough energy to get well and come home. 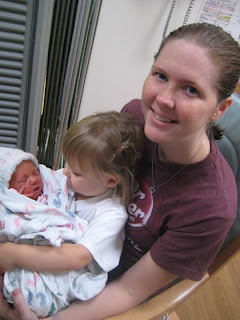 I was too tired to post a blog last night so I'm getting it out this morning. The last update I got was a good one. 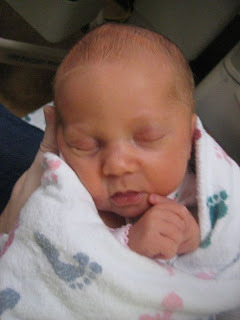 She gained an ounce last night so she is 5 lbs 1 oz. She ate 40 mls two times and then took 35 mls the next. That is very encouraging!! If she keeps it up she'll be out of there in no time. 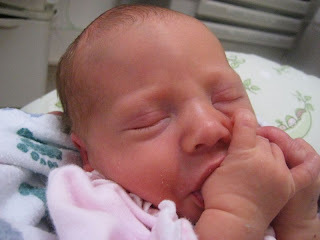 Sucking her thumb all by herself. 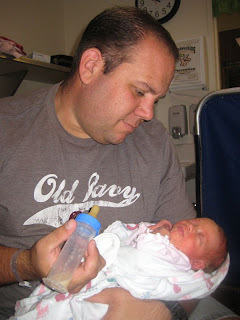 Chris is doing great at feeding Hannah. 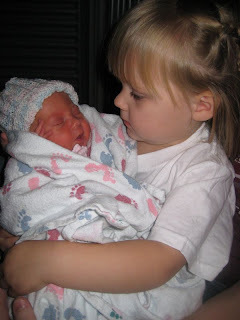 Bekah gets to hold Hannah for the first time. She really loved getting to do that. We are only taking Bekah in once or twice a week. That is enough for any two year old I think. Bekah does love the cheerios the nurses give her for a snack. 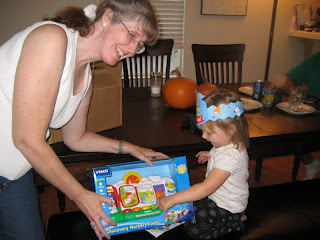 Bekah had so much fun standing on a chair opening and closing the doors of the isolette. 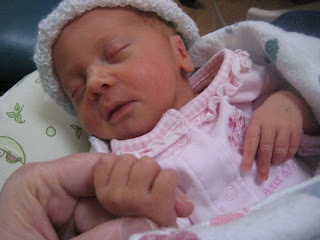 She would open a door, reach her hand in and pat Hannah. Then close that door and do it with the other one. 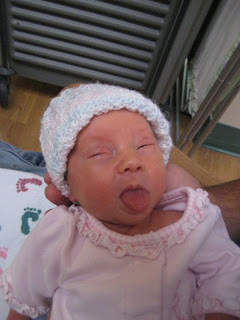 That entertained her for a good 10 minutes. 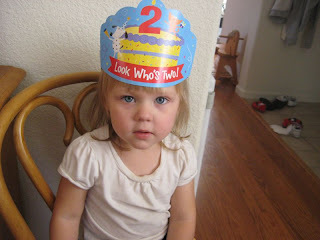 Bekah's birthday hat from Nana. 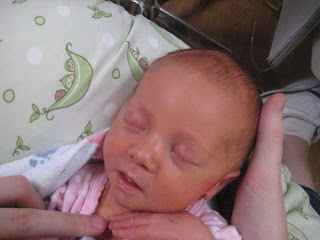 This is the first time she has had nothing on her face since she has been born. We love seeing her like this. 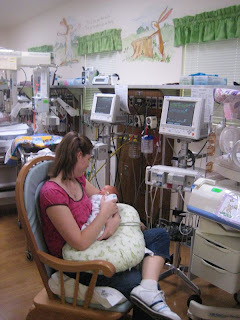 A look at our NICU. We all just love the murals that my mom painted for us. Hannah looks so small here. Good things do come in small packages!! 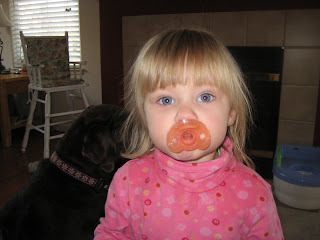 Bekah tries out the baby pacifier they gave her for her dolly. Are we regressing a bit? Thanks for all of the pictures Sarah! I read the update on Facebook, but there were so many more cute pictures here. Happy birthday to Bekah!!! You have beautiful girls Sarah!! 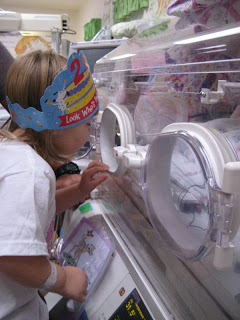 I love the picture of Bekah in her birthday hat visiting Hannah at the NICU! What a blessing it will be when you have both of your little girls at home! Oh, and speaking of two babies--we're in! Such a sweet post. Can't wait till she goes home.